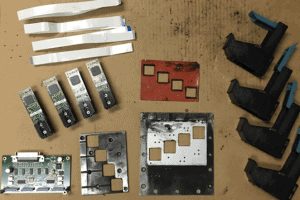 How to repair Industrial inkjet printheads. HP Thermal Inkjet (TIJ) is a popular choice for high speed mail addressing and package carton coding applications. The Thermal Inkjet print systems used for both these applications operate generally trouble free with the correct supplies. However, they are more challenging to repair when poor print quality happens. The biggest issues are where text is unreadable or barcodes are not scanning accurately. Case Printing Solutions recently repaired a 2-inch TIJ print system that sustained damage over time from ink spillage. Printhead failures can occur as a result of faulty print head maintenance, improper bulk ink installation, or low quality ink products. The required repair and rebuild is difficult to perform. Its tricky if there’s permanent damage to the stalls, driver boards or wiring. 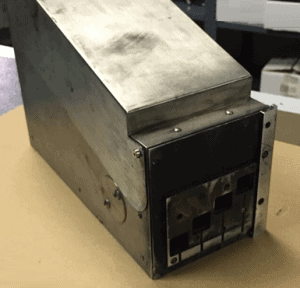 The CASE Printing Solutions team will completely clean and rebuild the print system using original OEM parts to make your TIJ printing system work like new again at a fraction of the cost. Extend the life of your HP based inkjet print system! 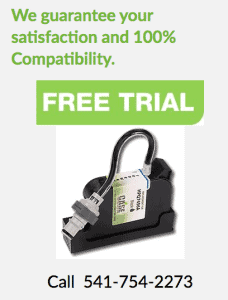 Repair your inkjet printheads rather than replace your whole system. CASE Printing Solutions is known as case coding experts within the Packaging industry. Our competencies include diagnosing poor print, implementing Bulk ink systems, and providing new & remanufactured inkjet supplies. Each month, the CASE Printing Solutions team receives numerous requests to troubleshoot issues related to inkjet printing. We diagnose your problem, replace old parts, and repair the existing unit – if possible – to get it running again. We also provide loaner units if appropriate or available. When a new capital investment is required, CASE Printing Solutions can help source a new printer including the purchase, setup and ongoing upkeep. Don’t risk prolonged downtime to your packaging line because your print systems are having trouble operating properly.